This badge was issued to Kevin Garrison on 31 Dec 1979. 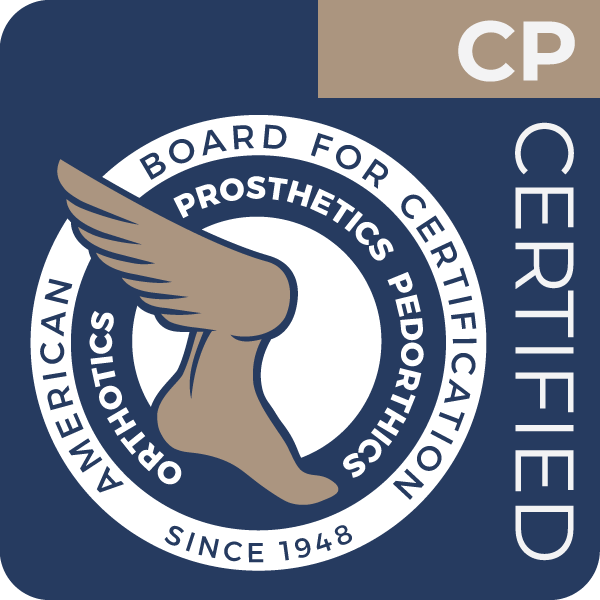 An ABC Certified Prosthetist is a health care professional specifically educated and trained to manage comprehensive prosthetic patient care. This includes patient assessment, formulation of a treatment plan, implementation of the treatment plan, follow-up and practice management. Prosthetic care may include, but is not limited to, patient evaluation, prosthesis design, fabrication, fitting and modification to treat limb loss for purposes of restoring physiological function and/or cosmesis. Bachelor’s degree or higher in orthotics and prosthetics from a Commission on Accreditation of Allied Health Education Programs (CAAHEP) accredited program. Completion of a National Commission on Orthotic and Prosthetic Education (NCOPE) accredited residency. Passing score on the written, written simulation and clinical patient management exams.